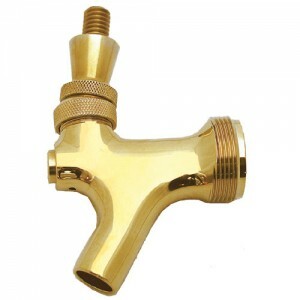 FAUCET HEAD, polished brass - F.H. Steinbart Co.
Polished brass body with threaded brass faucet lever. Fits standard US shanks and beer towers.